‘Plastic Front’ sees Treeboy & Arc release their first single of 2019, adding to the ever-growing stream of singles they’ve released so far in their short time as a band. Opening with a jangling guitar riff, the track soon bursts into life as it crashes into a darker, more sinister tone. 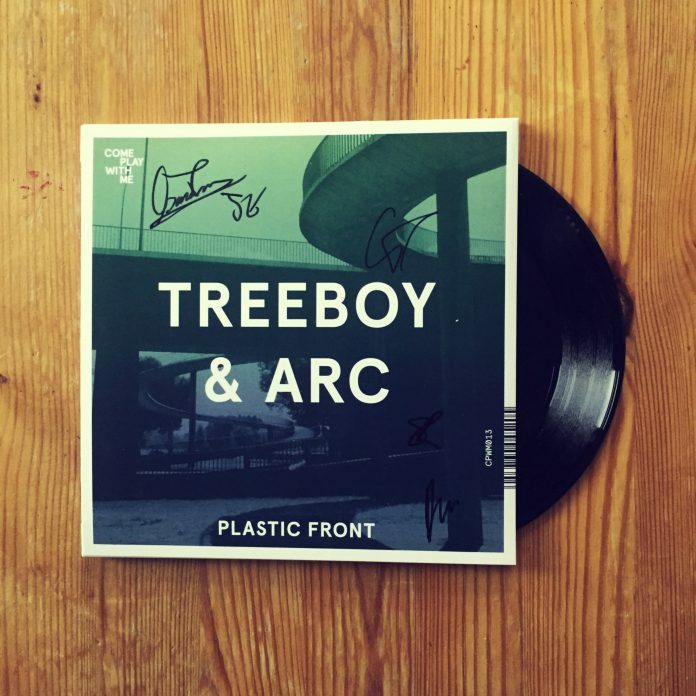 ‘Plastic Front’ by Treeboy & Arc is released on 7” vinyl via Leeds based record label Come Play With Me on the 8th February 2019. Limited signed copies of the vinyl can be ordered from www.cpwm.co. The track was produced by Chris Mulligan. To celebrate the band will be announcing a string of live dates shortly. Treeboy & Arc’s ‘Plastic Front’ 7” single is backed on the other side by Jebiotto’s ‘Get Down’ which is released through Call + Response. Jebiotto are a 3-piece synth punk band from Tokyo, Japan featuring Madca on synth and vocals, Moririn on drums and electro-pads and Tutti on guitar, threaded through a bass amp. Jebiotto are a unique collision of pop and raw, chaotic energy emerging from the dank basements of the Tokyo underground music scene. Their music is built around a core of bold, anthemic, new wave synthpop, twisted and deformed by influences including Dan Deacon, Blonde Redhead and Bikini Kill. The result is a set of tunes with the electricity and sharp edges of art-punk wrapped around the beating heart of fist-pumping stadium rock.